November is here! If I were still in the States I would still have Thanksgiving to focus on, but here Christmas is starting to come out in full force. The ads are on TV, the parades are just around the corner, and people are already starting their Christmas displays in their yards. I've already got my Christmas decorations out of storage and planning where to put everything. To be fair, I'm just super excited about decorating our new place for the first big holiday and we're hosting the family get-together this year! Wait, where was I going with this? This Christmas addict gets too excited! Here are a few products that got some extra love from me in October. Korres Lip Butter Glaze in Quince - It's gorgeous and the tube is purse-friendly. Swatch is here. Dior Amber Diamond Shimmer Powder - I especially love this during cold months where my skin looks flat. Swatch is here. MUFE Full Cover Concealer - LIFECHANGER. Forever a HG product for me. Urban Decay 24/7 eyeliner in Stash - I have multiples of this. The best olive eyeliner. Swatch is here. Urban Decay Naked Basics - Great basics palette- the truth is in the name! Swatches are here. 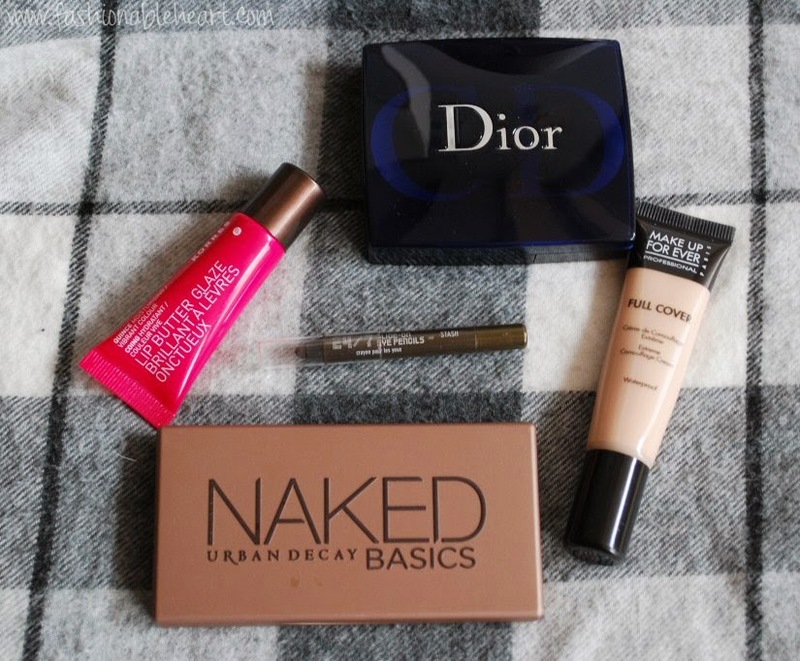 Great favorites! I hate the Amber Diamond is discontinued - I really wanted to try it! I got the replacement, but haven't really tested it out yet.